The Boston Marathon was bittersweet. What an incredible race and sporting event and what cruel, unexplainable actions that took place there. Nate is home safely and has recovered from both the race and all he experienced. Our prayers continue to go out to those families and the city of Boston that were more seriously effected by the tragedy there. Thank you all for your support of Nate and of SowingRoots. We are humbled by your generosity. The running campaign was very successful and every dollar raised will go towards need based grants that will connect forever families with orphans in 2013. 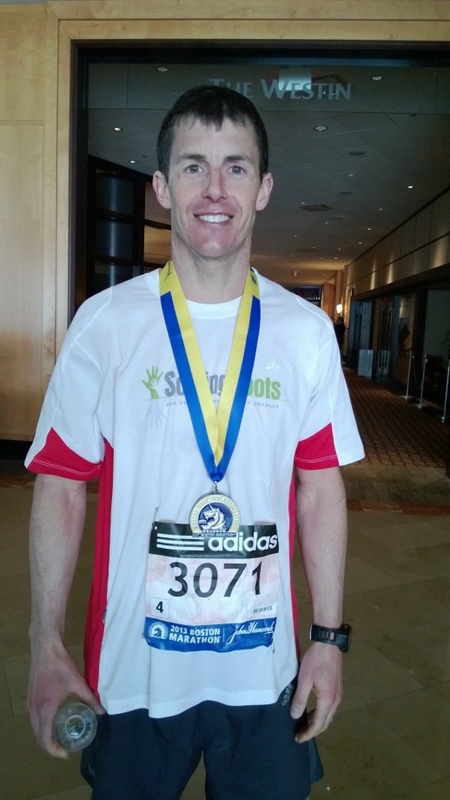 And for those interested: Nate's time of 3:02 qualified him for Boston once again. Way to go Nate!